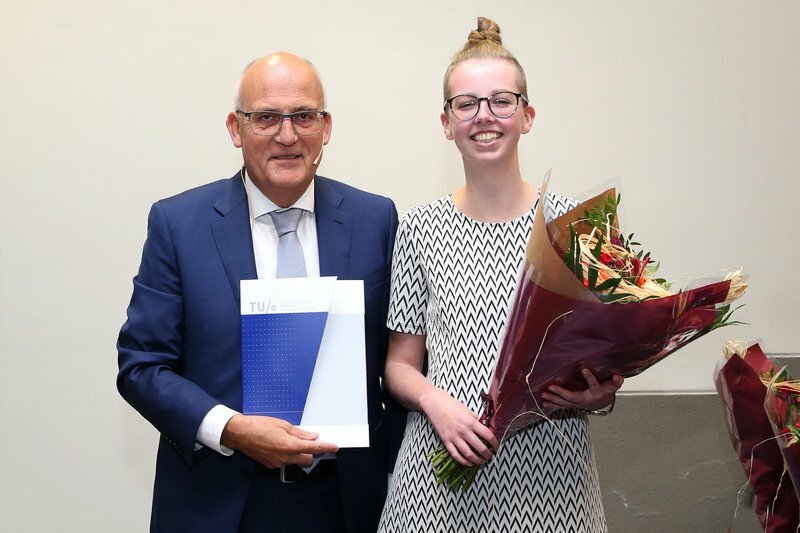 Holland Society (Koninklijke Hollandsche Maatschappij der Wetenschappen, KHMW) yearly awards Young Talent Awards to students with the best grades achieved in the first year at a Dutch institution for academic education. Last monday, the prize in the degree program Chemical Engineering was awarded to Chemical Engineering and Chemistry student Stacey Fun. 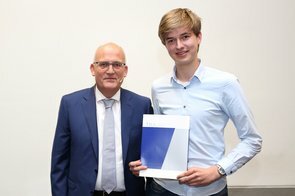 Her fellow student Jan van Rooijen received the prize in the discipline Chemistry of Materials. Stacey and Jan achieved the highest average in the first year of all Chemical Engineering and Chemistry students. The prizes, each consisting of a certificate and an amount of € 500, are made available by various companies and institutions. The price in the chemical engineering degree program is sponsored by Koninklijke Van Wijhe Verf. The NWO Science domain is the sponsor for the Chemistry of Materials discipline. The Holland Society Young Talent Awards are awarded annually for the promotion of academic education in engineering and exact subjects. The Incentive Awards are only awarded following the nominations from faculties and examination boards. Stacey Fun receives the certificate for the propaedeutic phase from program director Peter Janssens. Jan van Rooijen receives the certificate for the propaedeutic phase from program director Peter Janssens.